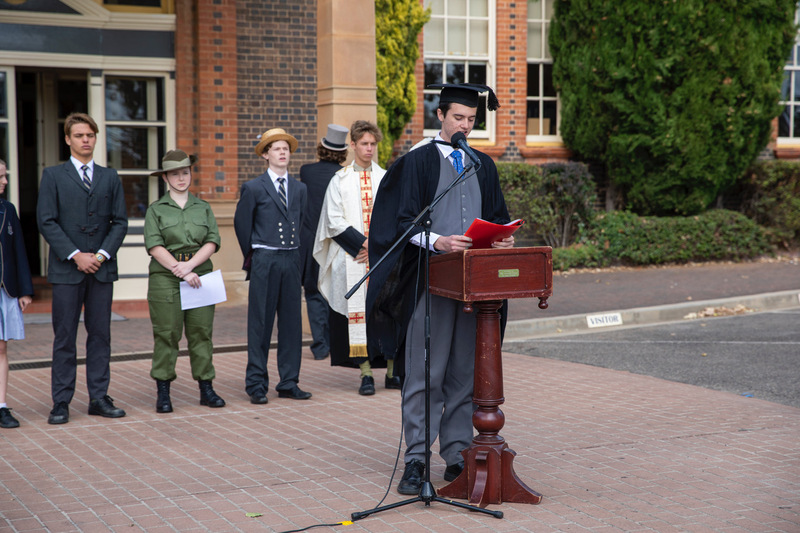 It was a busy final weekend in our longest term of the year for a good number of our students. While a number of our senior rugby players were taking on some big competition at the annual Scots College Rugby 7s tournament, Sam Jones was taking on some of the best athletes in the country at the Australian Athletics Championships. Jim Pennington has reported on Sam’s success in placing 11th in the country in the 2000m steeplechase and I echo the congratulations to him. 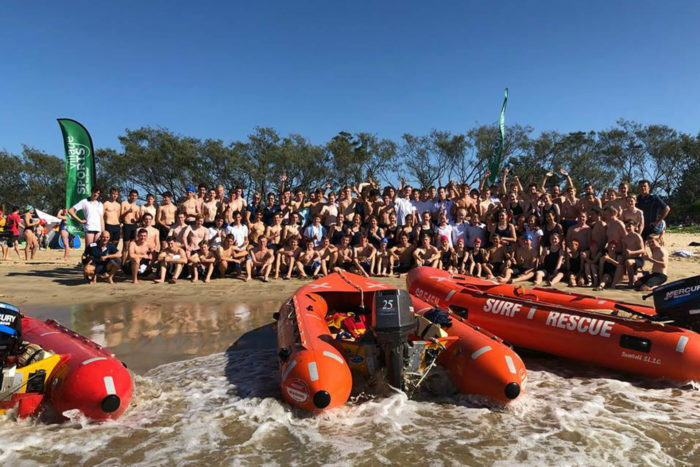 On Sunday more than 100 TAS students, some of whom only arrived back in Armidale at 11:00pm the night before, left school bright and early for the 2km Coffs Ocean swim. This was the School’s biggest ever team and TAS students made up around a third of the total field for the event. As expected, there were some great performances and these are reported later in this edition of TAS Talks and I recommend that report to you. I know that a good number of those swimmers are looking to back up the effort last weekend with the Tour de Rocks charity bike ride from Armidale to South West Rocks that leaves tomorrow and I wish all our riders well for the journey. This is the second leg of the ‘Triple Crown’ challenge and it is very encouraging that we will again have a record field taking part. Work is carrying on frenetically this week in preparation to welcome around 1,000 rugby players to our TAS Rugby Carnival next weekend. 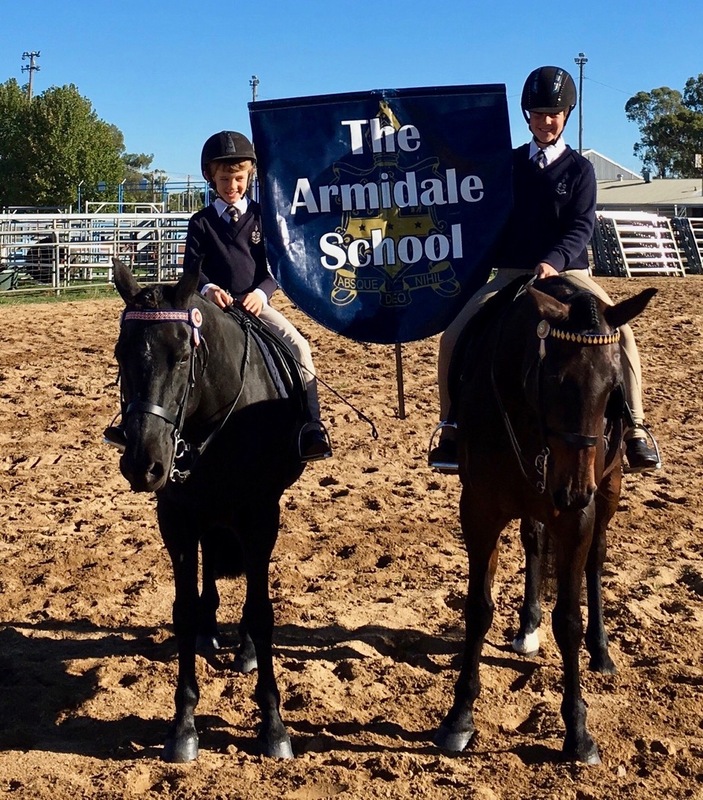 Fifty-one teams will take part this year, making our 15th carnival the biggest ever and a significant event for Armidale as thousands of parents and other family members join their children for the weekend. 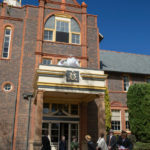 It is of course a great privilege to host the biggest rugby carnival for this junior age group in the country, but it is also a huge logistical task that involves scores of staff, parents and friends of the School and I offer our collective thanks to all those involved for what has already been done and for the weekend ahead. 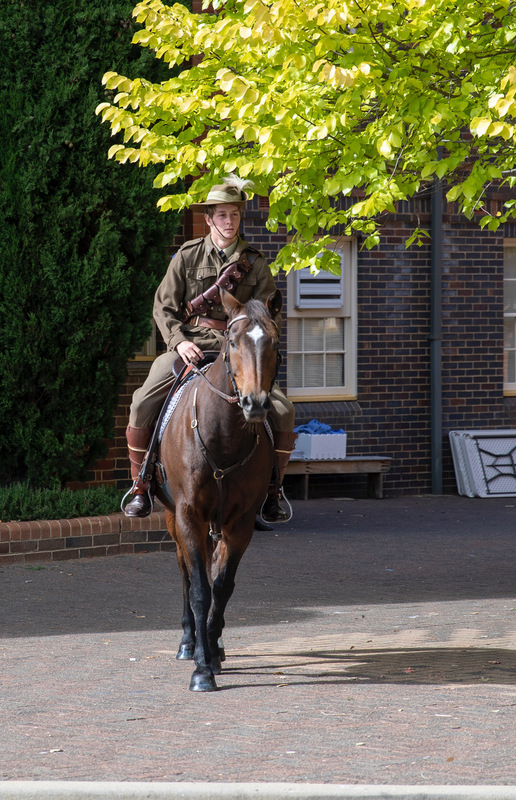 As is most often the case, ANZAC Day will fall in the school holidays again this year. We will be represented at the services at Dangarsleigh, Saumarez and Central Park by the TAS Guard who will form the catafalque party in, this year, three locations. TAS will hold its own service at school in the first week of next term on Thursday 2 May at 7:00am and all are welcome to join us. 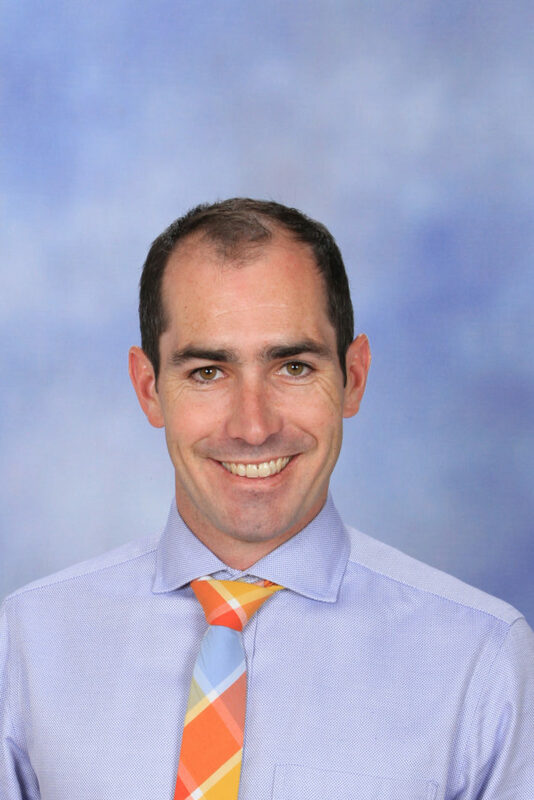 Our special guest will be Captain Lewis Crothers (OA 2008) who is currently posted to the Royal Military College Duntroon as the Future Operations Battle Captain and Assistant Operations Officer and I am very grateful to him for taking time out to return to his old school. 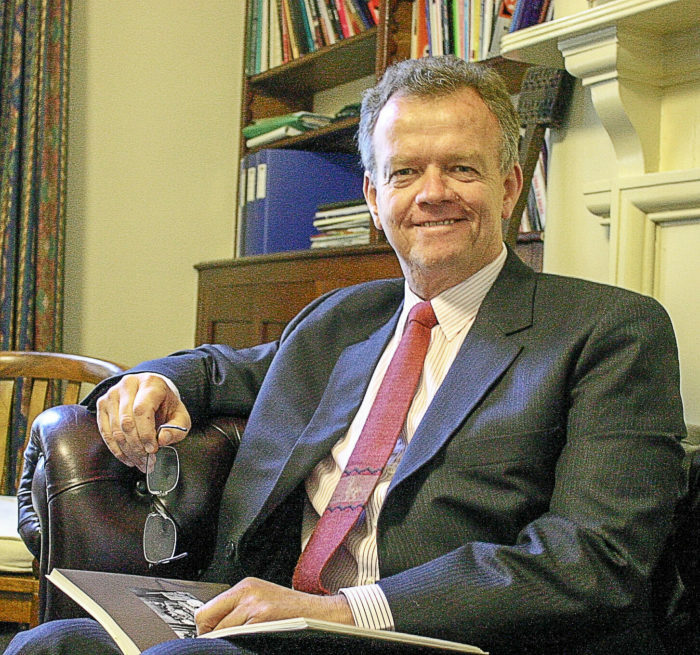 Public ‘hissy-fits’ over being substituted on the sporting field – how very not honourable. OK, we may not condone the ‘hissy-fit’, but we can understand the sentiment. No-one likes being subbed off. For a start if you love the game you’re playing, you just want to be out there for as long as possible. But, beneath the idea of being benched sits a more unpleasant notion – that you are not good enough, your substitute is needed. I get it! I have always hated being substituted. Now, here’s the thing, when we come to the story of Barabbas and Jesus, we witness the greatest substitution of all time. Did you notice in the reading (Luke 23: 13-25) how often Jesus was declared innocent? Verse 22 – no guilt. These are all occasions when Pontius Pilate – not on the same team as Jesus – declares Jesus innocent. Then, there is the murderous, insurrectionist – Barabbas. A convicted criminal, dangerous to society. Yet the crowd cries for his release. His release at the expense of the innocent Jesus. Jesus who had been good for society, he healed people, taught people, eaten with them – even fed them, cared for the marginalised and forgotten – Jesus the innocent. I read this and I think, how could they do it, how could they be so stupid, how could they be so unfair? And we must, for we are Barabbas, we are the guilty hoping for release, we are deserving of God’s judgement and in great need of a substitute. If I am to go free, the innocent must suffer, Jesus must die in my place. So I thank God for Barabbas, I thank God that Jesus died in his place, that the guilty may go free, that I may go free. This is the biggest event of the year for TAS and the P&F and showcases TAS far and wide – we have well over 1000 kids, coaches and managers to feed each day – plus their families … If you can help or bake or both for this event it would be much appreciated. It’s an absolutely mad, fun few days and a great chance to meet new people. The weather forecast is even looking good. If the spot you want to help in is already full, just come along and help anyway. It also gives parents who have kids playing a chance to watch their children play. We are still short of people to help, particularly on Sunday. 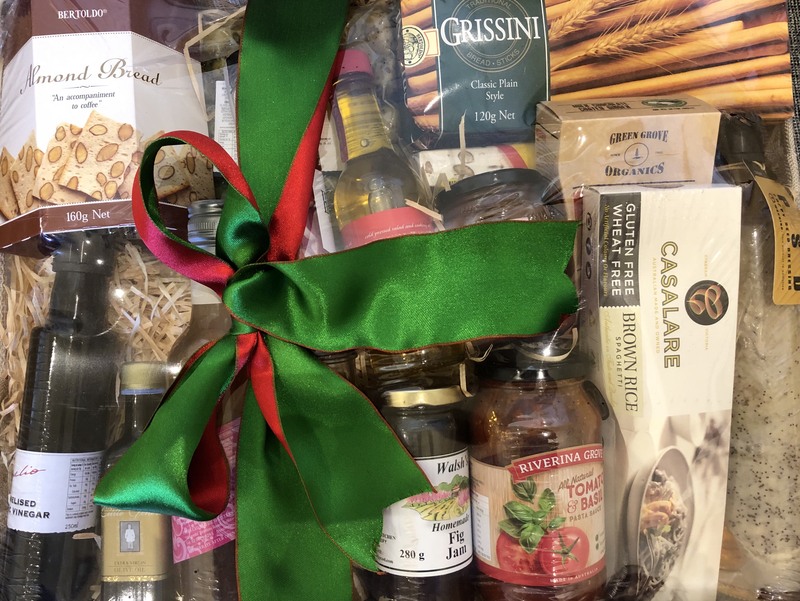 To feed the hordes we are also love any bakers to bring some good country home baked goods to showcase Armidale and all our surrounding areas to people from as far away as Perth, Sydney and the Sunshine Coast. Baking needs to be able to be packaged in single serves and please remember to label all ingredients especially if your baking does contain nuts. Feel free to drop things at Main Reception if you can’t be here on Saturday or Sunday. I hope to catch up with lots of people at the Rugby Carnival but I also want to finish by saying good luck to all the people doing Tour de Rocks and that I hope everyone has enjoyable trips if they are going away to play football or travelling to Japan or doing some other things with friends and family. 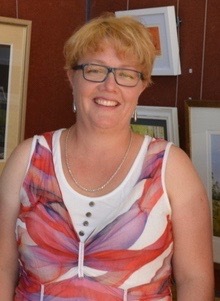 Enjoy the last of the ‘summer’ weather and I hope everyone comes back from the holidays feeling rested and rejuvenated. Two Parent Information presentations will also be held in Big School on Wednesday 10 April beginning at 6.15pm and Thursday 11 April beginning at 11.45am. Please note that the Library will close at 5pm on Thursday. Tutoring will resume on Tuesday 30 April. Year 12s – try and keep the momentum of study and revision going over the holidays. Wishing you all a safe and enjoyable holiday. Today 16 students and two teachers left for the 15 day biennial Japan Study Tour. 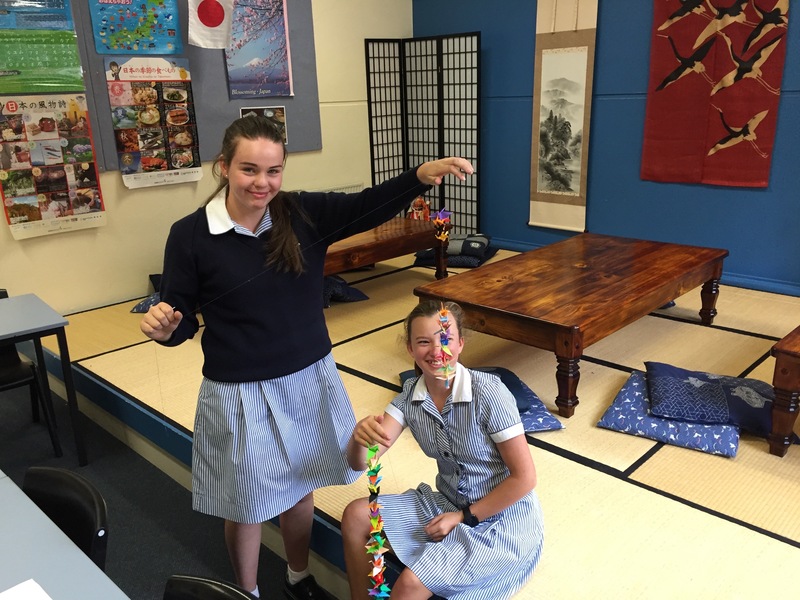 The two-week excursion will allow the students to experience Japan and Japanese culture outside the classroom. We will visit Tokyo, Takayama, Kanazawa, Kyoto, Nara, Nakasendo, Himeji, Hiroshima, Otoyo for a homestay and Kochi to visit our ‘sister school’ Meitoko Gijuku. 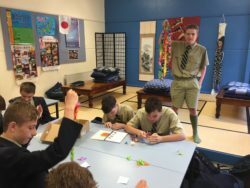 The students have worked hard to prepare for this trip through the ‘Living in Japan’ course in Year 9/10 and they have practiced the language they will need during the trip. As part of the preparation for the trip, the students made 1000 origami cranes which will be presented at the stature of Sadako in the Hiroshima Peace Park. The 16 students participating on the Japan Study Tour are Hugo Catterall, Piyumi Ekanayake, Alexander Fulloon, Marcus Hempel, Lachlan Hey, Rowan Hey, Jack Hoppe, William Jackson, William Jubb, Cameron le Surf, William Mackson, Lochlan Nicoll, Emily Palfreyman, Frank Perrottet, Casey Smith, Aeukan Udompitisup. Make sure you ask these students about the Trip next term. 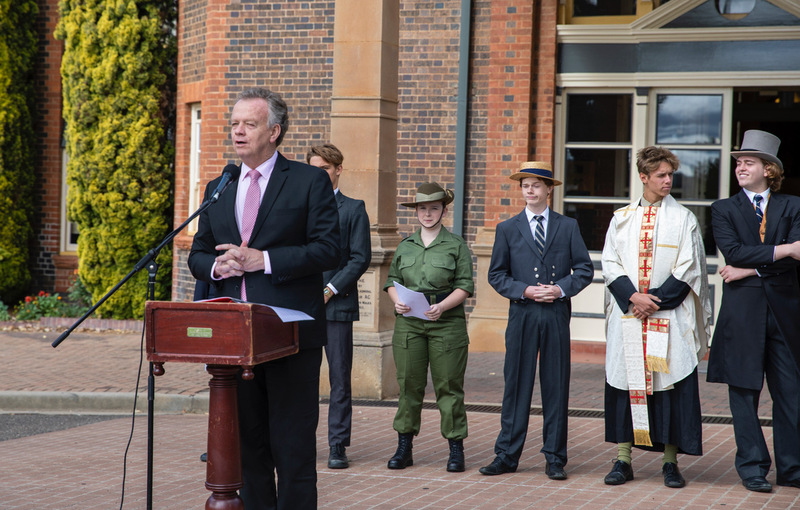 Every year our Founders Day assembly commemorates an aspect of our history and on Friday morning the whole school gathered to commemorate our 125th anniversary year. 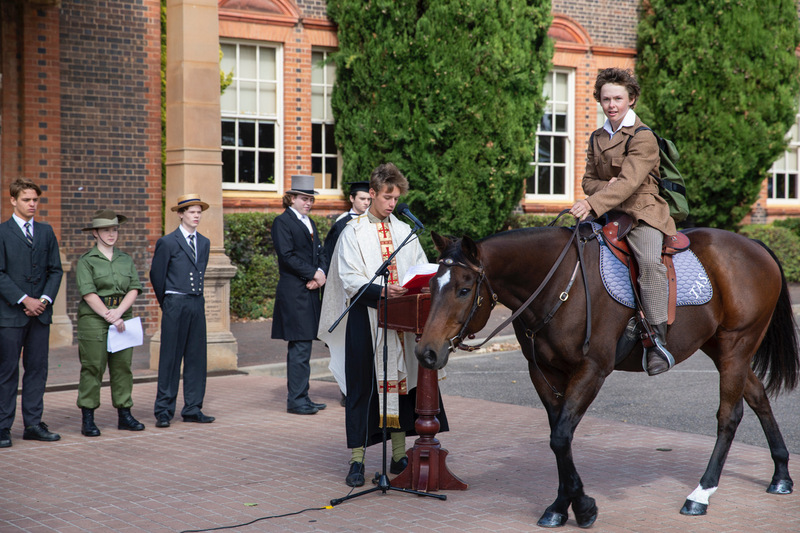 After the traditional Founders Day cake, students presented a humorous and informative potted snapshot of TAS from the laying of the Foundation Stone in February 1893 to the present – with a pillow fight, bush leave, a student science explosion on the portico roof and a mounted World War 1 ‘Lighthorseman’ in the saddle, along the way. Students and staff then gathered on Adamsfield for a very special aerial photo to mark the occasion – but you’ll have to wait for the next edition of Binghi, to see that one! Happy Quasquincentenary to TAS!! Winter sports commence officially on day 1 Term 2. The training schedule and coaching allocation are attached and students are expected to arrange other commitments around their training and competition. 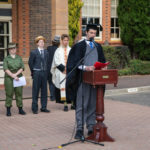 Specific questions can be directed to the MIC of each sport https://www.as.edu.au/life-at-tas/co-curricular/sport/co-curricular-life/contacts/or the Director of Co-Curricular office [email protected] . 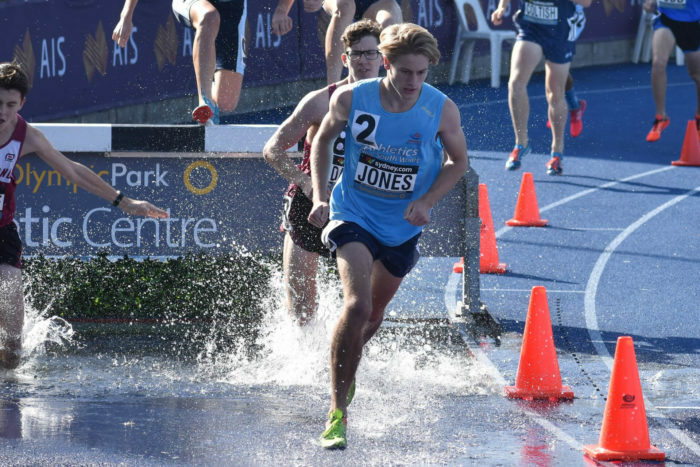 Congratulations to Sam Jones (Year 11) who competed at last week’s Australian Athletics Championships, representing NSW. Sam raced in the u/18 2000m Steeplechase, having previously competing at the Australian Schools Championships in December. In hot and humid conditions, the race commenced at a blistering pace, with the lead runners chasing a new record. This in turn, meant a fast pace for all. Sam stayed with the main pack throughout the early laps and as the steeples started to take their toll on the runners, Sam’s focus turned to holding his form. This he did indeed, recording a magnificent 11th place in Australia. Well done Sam! Blue sky, blue water golden sand and 2km, what could be better! Over 100 TAS competitors ventured down the hill for the annual Coffs Ocean Swim. As the first component of the Triple Crown, the field was stacked with both enthusiasm and trepidation. Leading the pack from TAS was the school’s captain of swimming Jesse Streeting who was the first competitor around the first buoy, eventually finishing fifth overall and the first male 16-19, in a time of 29.43. This was the second time in succession that Jesse was the first TAS competitor home and he now receives the Pacific Plate in recognition of this fine achievement. 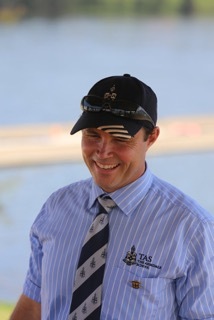 Oliver Griffiths was next across the line for TAS in 33.34, fourth boy in the 12-15 male category. He was closely followed in by Toby Michel-Smith, Fergus Menzies and the evergreen Mr Tim Hughes. 12 year old Abbott White finished in a wonderful 120th place. The first TAS girl home was Isabella Gooch, who hit the sand in 71st place overall and eighth in her age group, in 37.10. Next female was Eliza Ward and then one of the youngest in the team, 12 year old Matilda Cullen, who completed the swim in 39:51. Lucas Cotterell (Year 11) continued his streak, having now swum for the past five consecutive years. 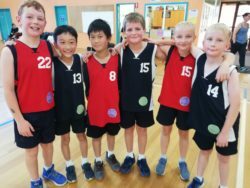 TAS students made up almost a third of all competitors in the event, having grown its contingent from a handful of students and one staff member 15 years ago. For those suffering with an Oliver!-shaped hole in their lives or maybe just those inspired to work on a project, entries for the 2019 Shakespeare Carnival have opened! The Carnival is a statewide competition where you can select from a range of categories that include Duologue (2 actors), Ensemble Scene, Group Devised / Mash Up, Dance, Movement, Music Composition, or Smart Phone Short Film. For students in Years 7-11 this is a chance to develop and showcase your performance skills, represent your school and aim towards the glory of the State Finals in Sydney. 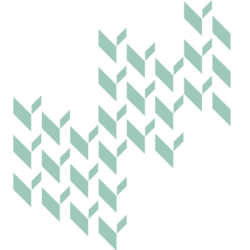 We’ve started to organise groups but it’s not too late, simply put your name down on this Google Sheet (https://docs.google.com/spreadsheets/d/1y9NZAo6JE14vI_avGrSQUkA1tnjlDFcIG3ggnAliz4c/edit?usp=sharing) and chat with your friends. I’ll be trying to suggest scenes and plays to everyone before the holidays so you have as much time as possible to prepare ahead of the TAS Shakespeare Carnival (where we pick our representatives) on Monday 21 May. 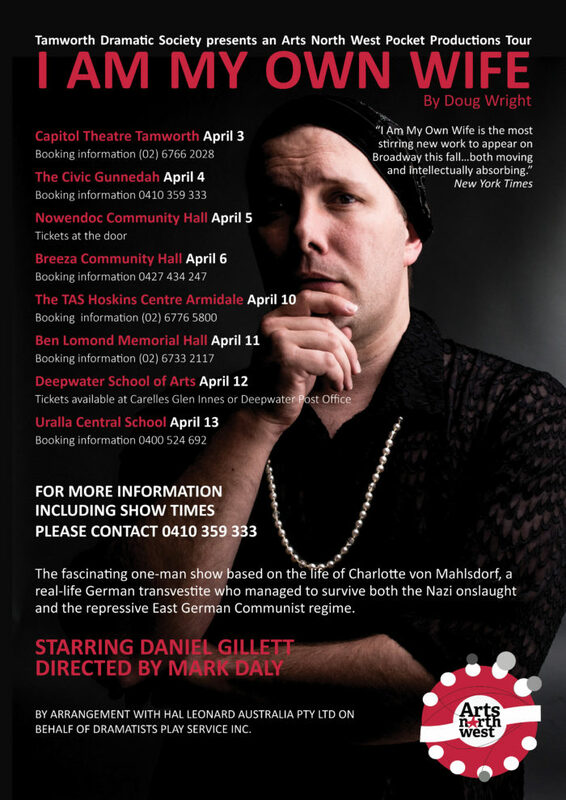 Tonight at 7:30pm in the Hoskins Centre there is the touring theatrical performance I Am My Own Wife, which is acclaimed for the script that won the 2004 Pulitzer Prize for Drama. Tickets are available online or at the door and it promises to be a powerful night of theatre for our Senior students, friends, family and members of the public. This Tuesday’s third lesson was one ‘with a difference’. 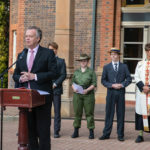 The Middle and Senior Schools attended an Easter Chapel Service in the Memorial Hall. The choir music was as good as ever it has been, translating as it was amazingly good. Mr Newton in inimitable fashion spoke so appropriately: he was as engaging and relevant as he was thoroughly entertaining. I know that everyone is tired, but there’s no excuse for laziness or inattention in a service such as this one. Some of our boys and girls received this message pretty clearly immediately following the service and have been gainfully employed, assisting Mrs Edmonds with sporting trophies and doing some lunchtime emu parade duties. They’ll have an after-school commitment as well. Why am I writing this? 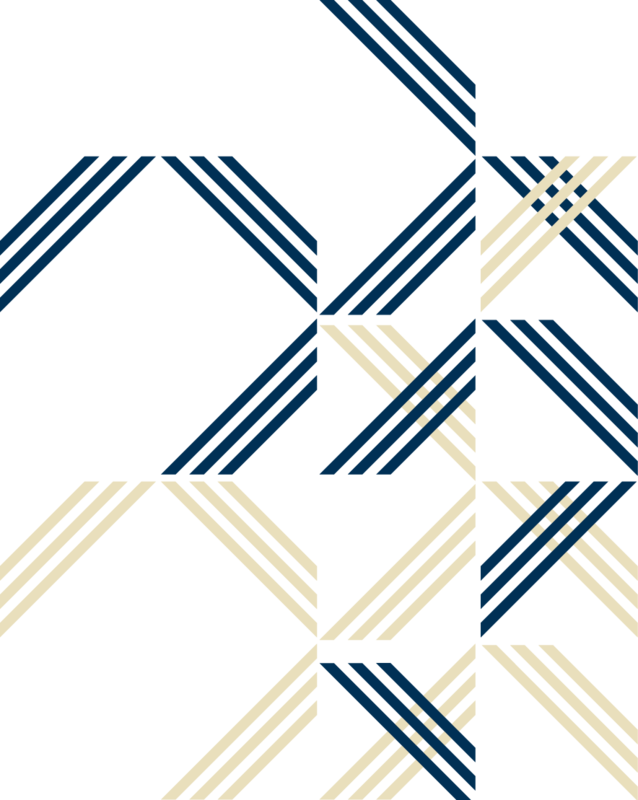 You have the right to know that when things don’t go strictly to plan, then we need to work together from both ‘fronts’, being home and school because our collective brief is mutual support. If we don’t operate this way, we simply won’t get very far very quickly at all. It’s the end of term and everyone needs a break and to be honest, the sooner it comes, the better – I repeat, we all need to be away to recalibrate. Please enjoy your families, look after them and be sure that they look out for you. Exceptional circumstances notwithstanding, students will be allowed to leave TAS this coming Thursday afternoon. 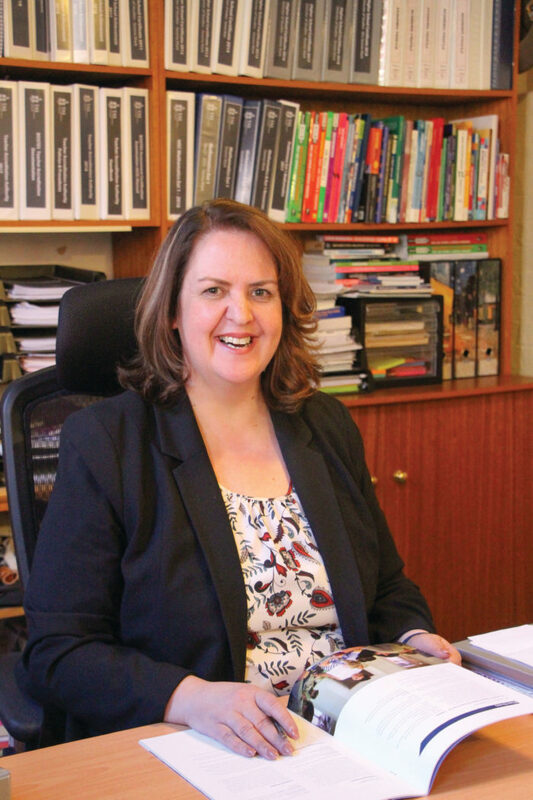 All Armidale schools will finish term at the same time and TAS students will be able to leave school after the conclusion of the school day. I ask that any requests for early leave come directly to me so that we can discuss them and that any request is accompanied by the relevant paper work so that we can streamline activities. 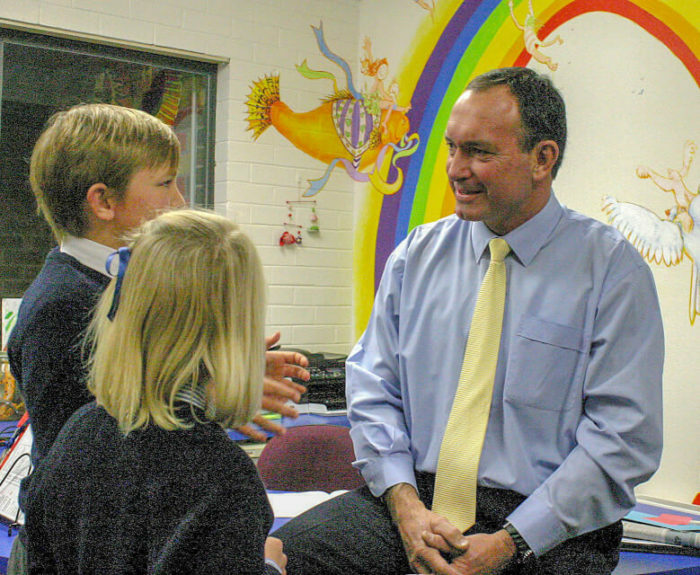 I want to take this opportunity to wish all Middle School families a safe holiday break. It will be a time to regroup with wider family and, importantly, recharge for the shorter but no less busy new term. 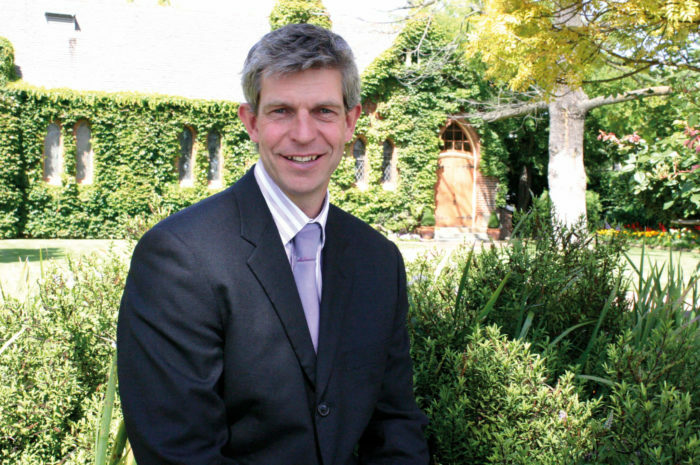 I look forward to seeing you at some of the sporting fixtures and parent sessions during Term 2 if not before – especially for those of you intrepid souls who I’ll see this coming weekend at the Rugby Carnival. 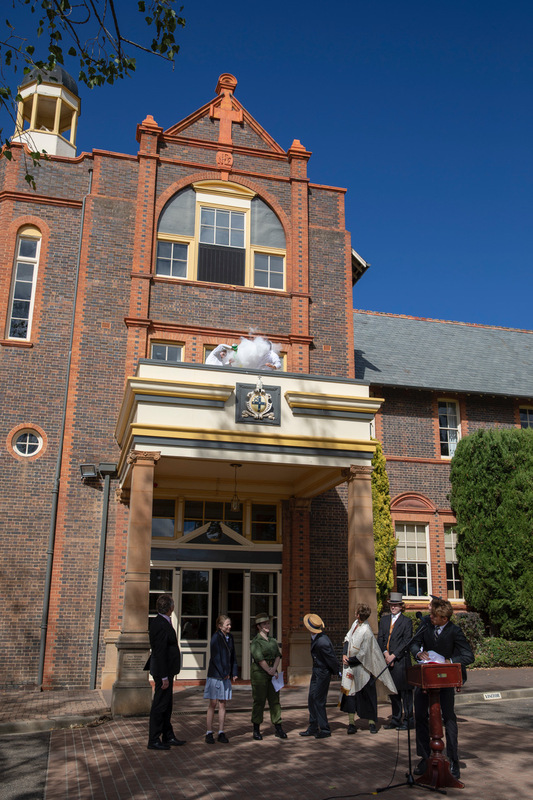 Junior School students were certainly not forgotten (going by the amount of cake on offer) when celebrating the 125th birthday of The Armidale School last Friday. 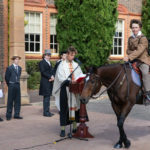 It was fun to join the whole school and take part in the celebrations, a milestone I am sure they will look back on in time and remember fondly. 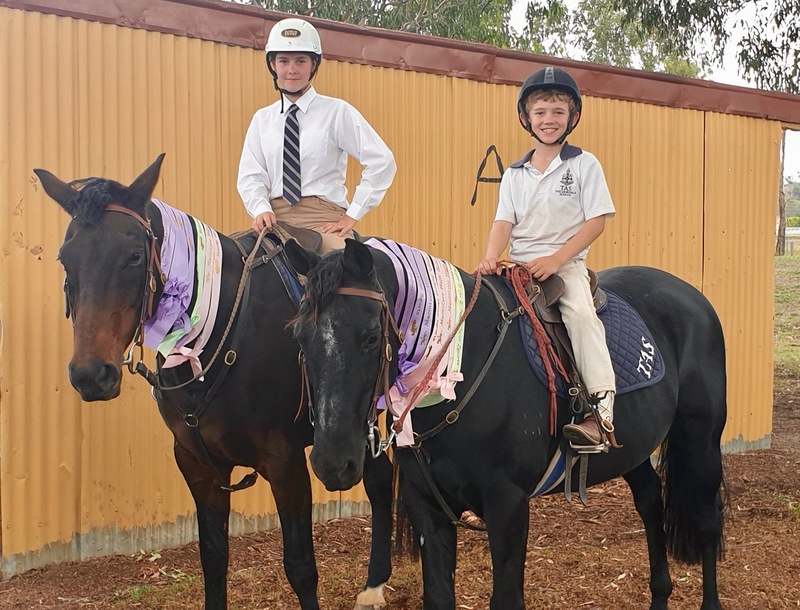 We look forward to the aerial photo that was also taken on the day…..
You will see a report in our sports section that speaks about the success of two of our students, Charlie Ward and Joshua Bourke. They both put a great deal of time and effort into their riding and it is fantastic to see their efforts paying off and that they are getting so much from this sport. 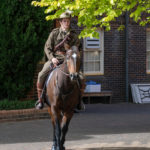 With the unpredictable nature of the weather at the beginning of Term 2, as with all seasonal change it is acceptable to wear either summer or winter uniform until week 3 of Term 2, if required. From Week 3, all students should wear the standard winter uniform. A reminder that we are looking for offers from families who are able to host students from Tezukayama. The girls and boys range in age from 9 – 12 and while some prefer to be billeted in pairs, many do not. Either way, this is an opportunity to engage with some wonderful children from another country and an excellent way to reciprocate the generosity. 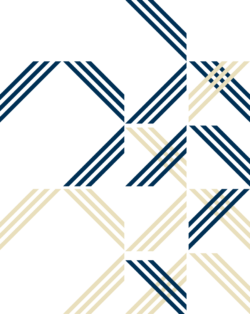 Please contact the School at [email protected] so we can begin to organise billeting. We come to the end of a very long and busy term and I would like to congratulate our students for the application and enthusiasm they have shown throughout the term. 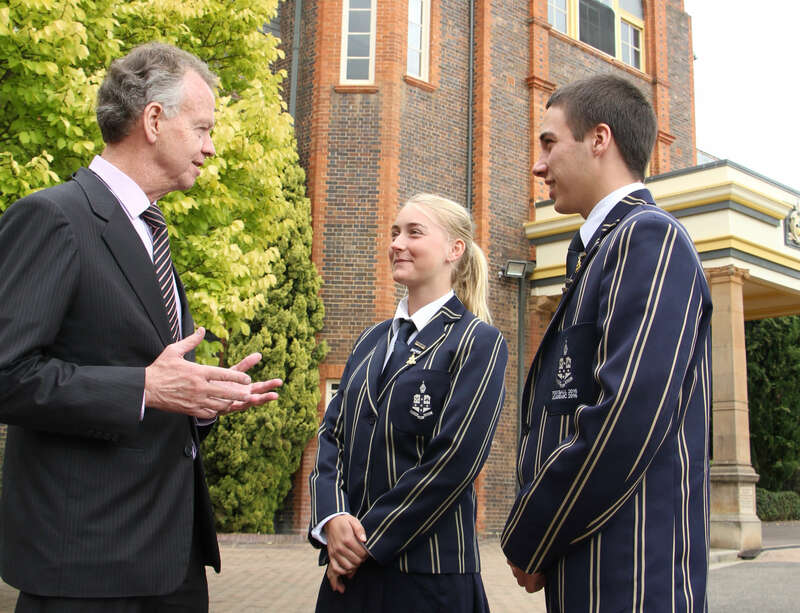 I have received plenty of feedback after the recent Parent/Teacher interviews and while I know the break will be thoroughly enjoyed by all, it is certainly been well-deserved. I wish you all a safe and happy Easter Holiday. Hugh Blackwell, Liam Hoad, Maya Slade, Jock Taylor, Casper Cook, William Cooper-Fillios, Cameron Carruthers, Lucas van der Werf, Hugo Broun, Chloe Dennison, Ani Anderson, Mitchell Evans and Sophia White. Happy birthday to the following students for your special days between now and next term: Norah Al-Qahtani, Ani Anderson, Simon Hu and Thomas McKern, Toby Whysall. 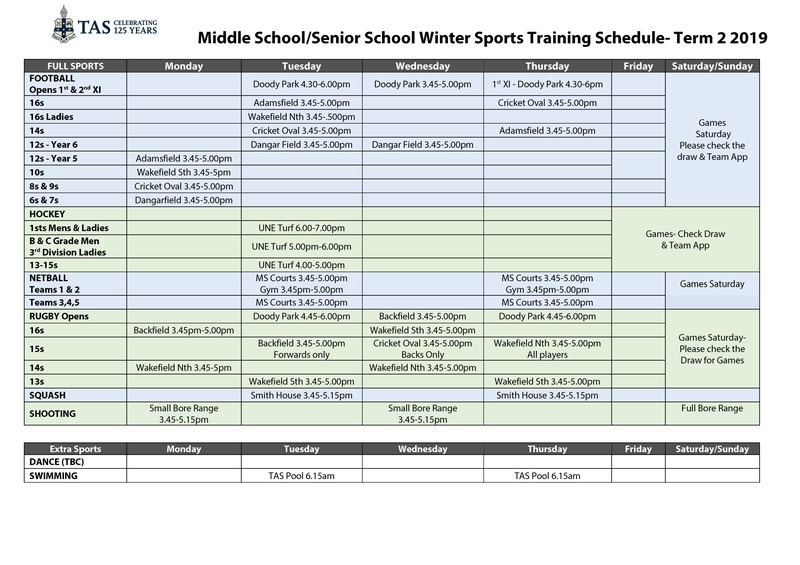 The commencement of our Winter Sports Program will occur in Week One of Term 2. 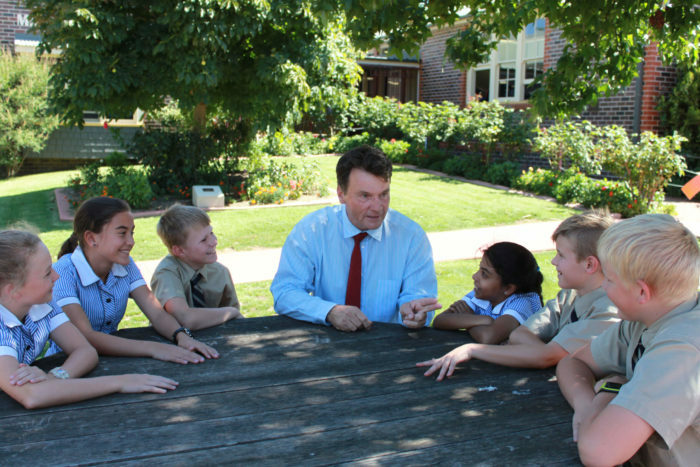 Your child will have nominated to participate in a winter sport this term and teams are now being finalised. Following is a list of teams and coaches for next season. 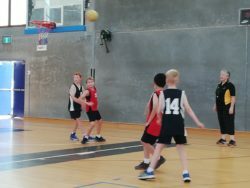 Some age groups are yet to have their teams finalised. This will be done in Week One of next term. 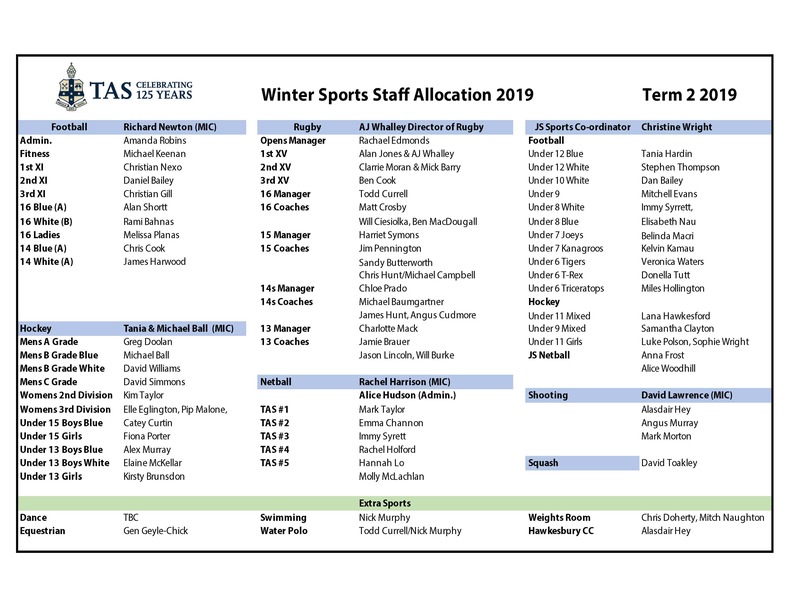 A full team list, coach allocation and training venues will be advertised in TAS talks next term. All Football teams will train on Monday afternoons at TAS. We are hoping we can run our Netball training on Monday afternoons at TAS also but this is yet to be finalised. Hockey teams will train on Wednesday afternoons at the UNE Turf. Your child’s coach will be in contact with you early next term to inform you of the websites to visit for sporting information and we are looking forward to our Winter season. The Junior School basketball team have had a wonderful season that ended in a game on Monday night. The team has come so far with their skills over the two terms and it has been exciting to see them enjoying the game so much. There have been a few players from other local schools and the players have been very open and accepting when joining teams together. 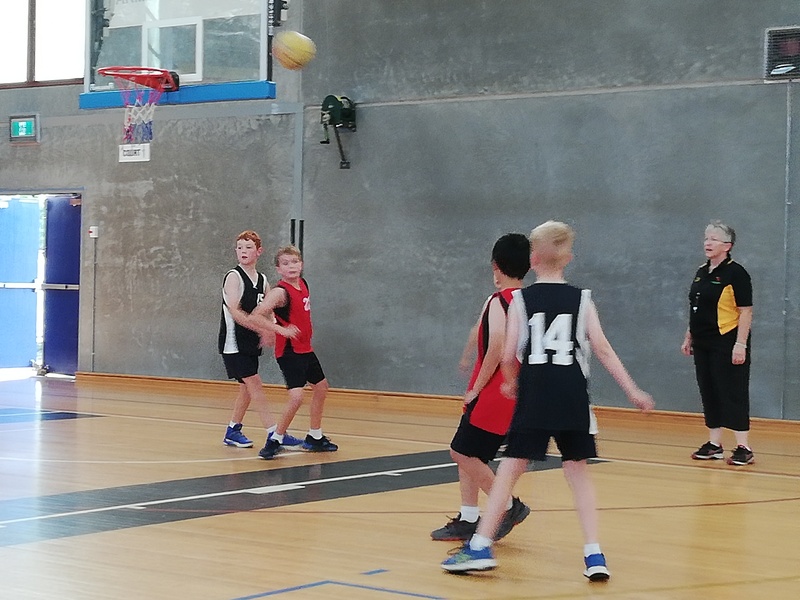 The sportsmanship amongst all the players has been fantastic to witness and there have been many highlights of ensuring that all players had a chance to shoot baskets and not just the stronger ones. A huge congratulations to all team members on their attitude and improvement over Term 4, 2018 and Term 1, 2019. 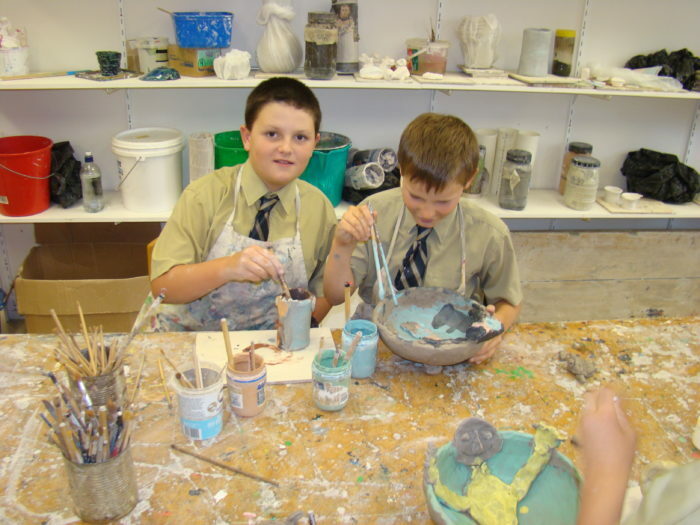 I am writing to let you now that myself (Rick) and Suzanne Hatch are once again offering after-school classes in clay work. 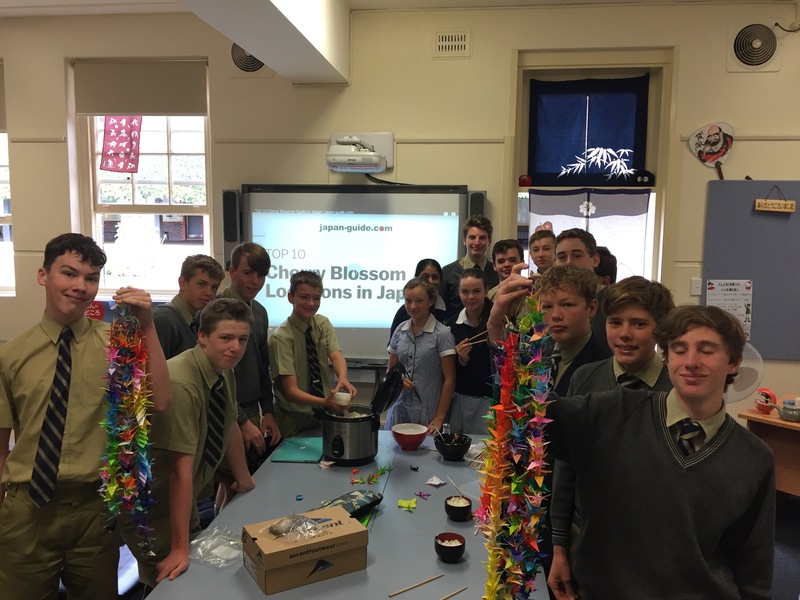 Term 1 has been ultra successful and really fun! As you know the goal of our classes is for the children to have fun while developing imagination, fine motor skills and the ability to solve problems with creative flair. As we keep the size of the class small we would really appreciate hearing from you as soon as possible. When : Tuesdays from 4 pm to 5 pm. We do welcome any child to come earlier to arrive any time after 3:30pm. Commencement : Classes begin on Tuesday May 7 and run until June 11. We then have a week off, followed by our party and exhibition on 25 June. Cost: $ 150.00. 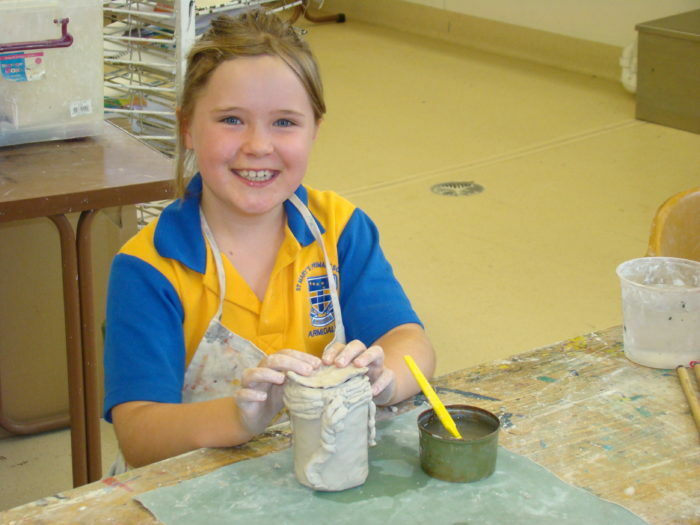 This includes materials, instruction and firing of the work. 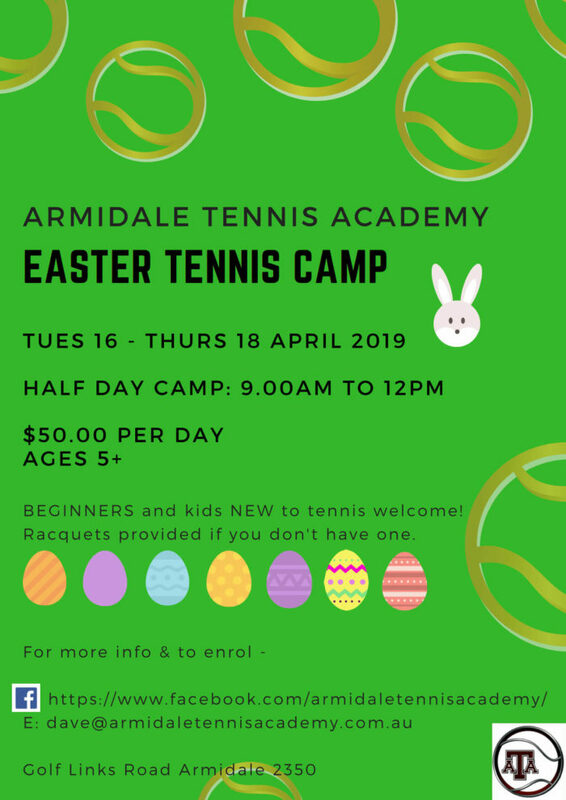 Enrolment: via email to [email protected] or phone on 6772 5371. For any questions please contact me at the above.